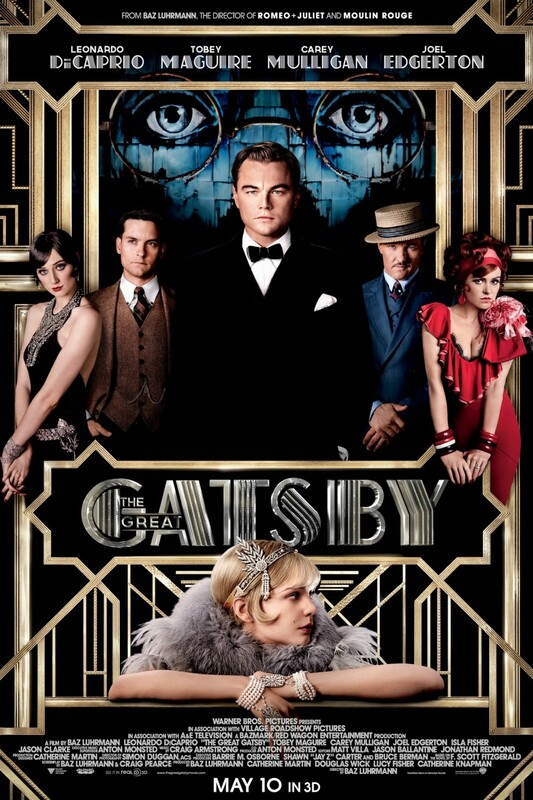 One week from this Friday, May 10th, we will finally see the release of Baz Lurhmann's version of The Great Gatsby starring Leonardo DiCaprio as Jay Gatsby, Carey Mulligan as Daisy Buchanan and Tobey Maguire as Nick Carraway. 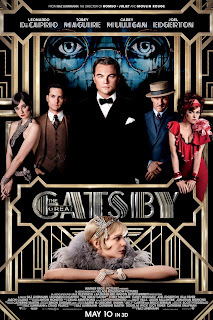 Though filmed in Australia, Lurhmann relied on historic Long Island photos (including those from Old Long Island) to create his versions of the Gatsby and Buchanan houses for the movie. Click HERE for an Architectural Digest article on the set design, including a mention that 'Westbury House' was the basis for the Buchanan residence. They also mention 'La Selva' (really?) as one of those used for inspiration as well as 'Beacon Towers' and 'Oheka'. Click HERE to watch the trailer for the movie and HERE for my post on the movie from last summer. Good or bad it will most certainly be entertaining. Count the number of firework-segments in the film. well, the impression is that the razzmatazz will overshadow and bury the story. Anyone want to take bets? Could the exterior of Daisy's house have been made any uglier? Are those round chimneys? Will Old Westbury sue? I will put money on the fact that this version will be cringe making-and "set design" will only be the half of it. In addition to a Phipps influenced family estate on the big screen you'll see the family on the small screen Saturday. The Phipps family will be seen on NBC as Dinny (and his daughter, Daisy Phipps Pulito) among other members will be at the Kentucky Derby. Their horse Orb is the morning line favorite for the race. Stuart Janney III, co-owns and bred Orb with his cousin, Ogden “Dinny” Phipps. Their silks all black jacket, with a cherry red cap, were registered in 1932. Leo drowns, you get Titanic. Leo gets shot, you get The Departed. I'm not expecting the movie to be anything more than a hot mess. A correction on my part as Orb does not run in the Phipps Stable black silks. Instead they bear those of Stuart Janney III. Relatively press shy, Maryland-based Janney (64) is the Chairman of the Bessemer Trust, a wealth management firm originally set up to oversee the Phipps family fortune. He is a great-grandson of Henry Phipps, Andrew Carnegie's business partner. Hal and Gladys Phipps of Spring Hill had 4 children...two of which, Ogden and Barbara, continued the family legacy of horse breeding/racing. Ogden's son Dinny and Barbara's son Stu are first cousins and Stu took over the helm of Bessemer after Dinny stepped down in 1994. I'm with the Ancient here. I fully anticipate a hot mess. If further proof were needed, witness the Brooks Brothers merchandising tie-in.